Over 100 photos capture the best of Arlen Ness’ stunning Harley creations. Take a look inside his motorcycle shop and customizing facility in San Francisco. 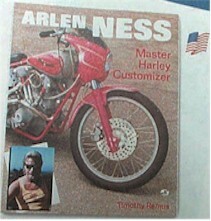 A fantastic photo album for anyone who loves custom Harley-Davidsons.